With the entire world rapidly evolving due to technology, it’s no surprise that a large number of businesses are either integrating with ecommerce or going completely digital by moving or starting their entire business online. This shift is causing the world to become a marketplace on the internet where consumers can shop and procure items from all corners of the globe, all at a few clicks of a button. While this is great for entrepreneurs and online business store owners, as more and more customers are purchasing online, this also means that there is lots of competition in every aspect of business, be it in the products or services itself, customer service, shipping and fulfillment, etc. Almost every niche one can think of is saturated to the max. Such a competitive landscape calls for business owners and merchants to be more aware of trending products and services within their industry that could help them get their customer conversion rates up and beat out the competition. Shipping, as mentioned, is a big part of customer fulfillment and satisfaction and it is also one of the aspects of any ecommerce business industry that is dynamic and constantly evolving. While there are several methods of shipping out there, one of the recent and perhaps most popular ones is called ePacket Shipping/ ePacket Delivery. This service has made buying products from China and Hong Kong ridiculously easy and can be the competitive edge that ecommerce merchants, especially those who are buying and selling from China using popular business models such as dropshipping, need. This is The Ultimate Guide to ePacket Shipping and Delivery, your one-stop shop for everything you need to know about ePacket shipping and delivery. 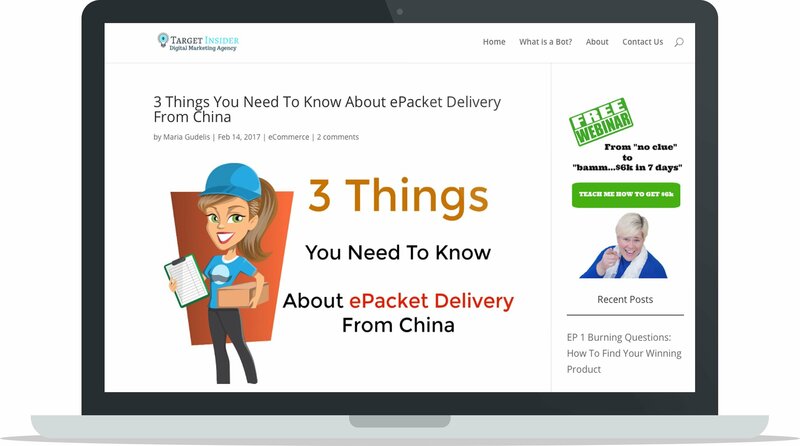 It will cover some of the most frequently asked questions about ePacket Shipping/Delivery and provide some helpful tips about using ePacket for your own ecommerce business. What is ePacket Delivery / ePacket Shipping? Is the Shipment an ePacket Delivery? Are ePacket and eExpress the Same Thing? How Does ePacket Delivery Affect Business Owners? What is ePacket Shipping and ePacket Delivery? ePacket Delivery is a popular form of shipping that is offered by China and Hong Kong. This delivery method is an agreement that stands between the USPS (US Postal Service) and eBay China + Hong Kong Post. Using this method allows for faster and more affordable shipping and delivery processes of products from China or Hong Kong and is aimed to boost the ecommerce sales (emphasis on international sales) for both countries. While this shipping method is utilized especially for smaller/lighter products weighing upto 2 kgs (4.4 lbs) and valued at less then $400, there are still some other requirements that must be met – more on that to follow. The “e” in ePacket indicates that the service is specific to the ecommerce industry in order to make the process of shipping quicker and more affordable for consumers – which has definitely positively impacted the industry in China and Hong Kong. Before the advent of ePacket services, shipping from China and Hong Kong was managed by China EMS, which meant it could take months for delivery. Options other than China EMS were exorbitant when it came to pricing and definitely not worth it for smaller and relatively inexpensive items. 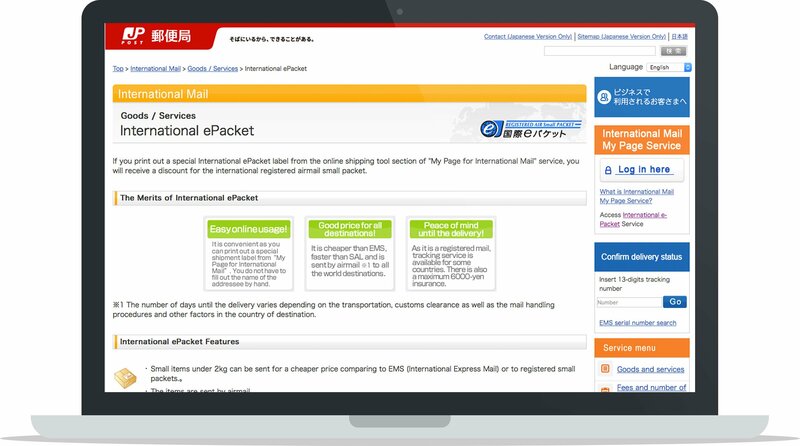 After the United States Postal Service announced this new ePacket shipping method in 2011, wherein they offered delivery confirmation services along with the First Class Mail Service for packages from China and Hong Kong to the United States, ePacket delivery services have now further expanded to over 35 countries since. The delivery confirmation service comes with end-to-end tracking, allowing customers to monitor their package throughout the shipping process and locate it on the official websites of the company that provides the service (USPS, EMS, etc.). The best part is that this comes at no additional charge or fee to either the customers or the sellers. Furthermore, the price of shipping using this method also includes the return of undeliverable goods to the seller for free, which makes it easier to process refunds when the purchase transaction can’t be completed (i.e. when the goods aren’t delivered to the customer for any reason). Even though most people hear of ePacket delivery from bigger merchants or marketplaces such as AliExpress or eBay, in actuality any vendor can offer the service as long as the package meets the specific requirements for an ePacket delivery. Faster: As mentioned before, standard methods of shipping from China would usually take months, however, ePacket shipping makes it relatively faster than the standard methods. While you would not be as fast or efficient as bigger marketplaces such as Amazon, as a smaller online business store owner, you can still expect your shipment to reach your customers in the span of 10 to 20 days. Cheaper: No consumer wants to pay $50 in shipping for a product that costs $2 because it makes no sense. That is exactly how much standard shipping for smaller and relatively cheap items would cost without the ePacket shipping/delivery service, but ePacket is able to reduce the shipping costs. Delivery Confirmation and Package Tracking: With the speediness of services such as Amazon Prime available to customers, there may be a bit of uncertainty or anxiety for them when their package does not arrive within a week. Allowing customers to track their purchases instills confidence in them about your brand and a delivery confirmation ensures that both parties know that the transaction has been completed. Positive Impact on Conversion Rates: When customers realize that shipping is faster for the products they order from merchants who offer ePacket shipping, it will almost always leave a positive impact on them. This is a great advantage as customer conversion rate for ecommerce businesses get a boost due to the faster shipping that ePacket services provide. Not Available Worldwide: Currently only 35 countries have ePacket shipping available which is a very small pool in a global context. Geographic Limitations: In some cases the issue with the availability of ePacket is due to the product itself. Sometimes the products that do offer ePacket shipping/delivery will only ship to the United States, which is very limiting. Product Limitations: In other cases your product can’t be shipped using the ePacket delivery method at all because it doesn’t meet the requirements which means you’ll have to use traditional shipping methods and your customers will experience longer shipping times. When it comes to shipping packages, especially when its international shipping, there are various requirements and restrictions that need to be met. Most of these have to do with the weight and dimensions of the packages in question. The weight of any package being shipped using the ePacket delivery method cannot exceed 2 kg (4.4 lbs). This includes the product, the filler material, the shipping box or mailer and any other packaging. However, Israel is the only exception wherein the packages being shipped to the country can weigh up to 3 kg (6.6 lbs). Another important point to keep in mind is that the value of any product being shipped cannot be over $400 and must be shipped exclusively from China or Hong Kong to one of the eligible countries for ePacket Delivery to be valid. Note: Get more information about ePacket shipping/delivery requirements and restrictions from the Japan Post website. Regular packages should not have a length less than 14 cm and width less than 11 cm. Rolled-up packages should have a minimum length of 11 cm. Additionally, twice the diameter plus the length should be more than 17 cm (2d + l >= 17). If your packages are smaller than this, it’s not usually an issue as you can use a larger box and add in filler material. The longest side of a regular package should not be more than 60 cm. Additionally, the sum of the length, width and height should not be greater than 90 cm (l + w + h <= 90). The longest side of a rolled-up package should not be more than 90 cm. Additionally, twice the diameter plus the length should not be more than 104 cm (2d + l <= 104). 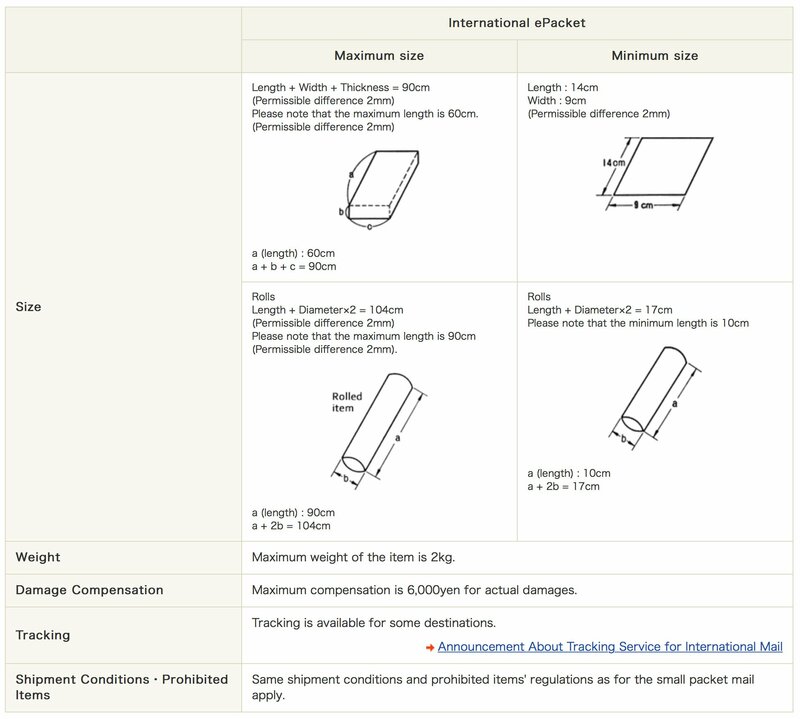 Note: Get more information about ePacket package sizing from the China Post ePacket Fees and Regulations and Epacket Express websites. * France: Packages can be shipped to mainland France with zip codes that start with 01 to 95. The packages cannot currently be shipped to overseas territories including Corsica, Guadeloupe, Martinique, French Guiana, Reunion, St. Pierre and Miquelon and Mayotte. Important Note: There is often confusion about the countries that provide ePacket shipping and part of the problem stems from the fact that the USPS also has a service called ePacket. Their ePacket service is only for packages that originate in the US, while China Post’s ePacket service is for packages that originate in China. Certain countries like Lithuania, Latvia, Estonia, Malta, and Gibraltar are served by USPS ePacket. Those countries are not served by China Post’s ePacket. More information in regards to ePacket shipping can be found via the China Post ePacket Fees and Regulations and ePacket Express websites. There are several different factors that can affect the exact amount of time it takes for each package to arrive at its destination: National and public holidays in the concerned countries, issues or delays due to customs or any other logistical hindrances can affect when the package is delivered. While the time duration is subjective to the country that the product is being shipped to, the average time that a package takes to be delivered is 10 to 20 days. In cases where an ePacket delivery gets delayed, which are few and far between, or during high-traffic times throughout the year (such as Christmas), most disputes with customers can be settled by just providing the purchase details (i.e credit card payment or PayPal receipts) and the tracking number for the ePacket. This can definitely prove that the delay or issue was not caused at your end as the merchant and there is also an added layer of transparency because the customer can track their purchase on the shipping/delivery company’s website. This is a great way to show how committed you are to your customer’s satisfaction and will ensure that they are singing your praises to others as well. Word-of-mouth marketing is sometimes the best and most effective form of marketing out there. Tracking an ePacket shipment/delivery is a relatively easy process as there is more than one way to do so. The most direct and obvious way is to check with the official website of the company that you used to ship/order the product. 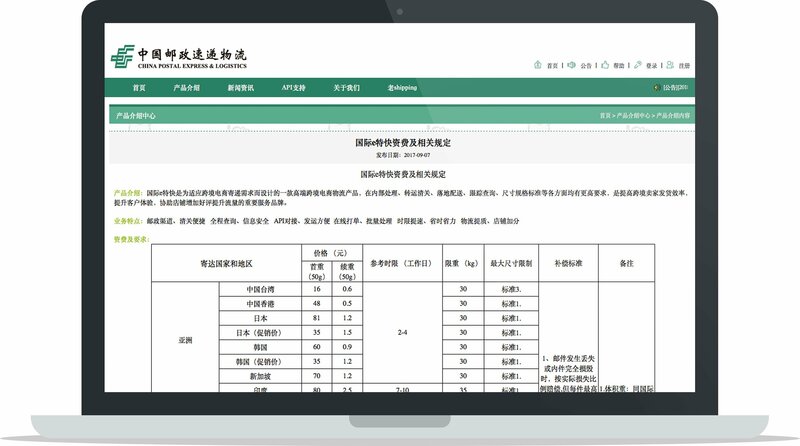 Once the order is placed, a unique tracking/order code is created for your product which can be entered into the China EMS website (while the package is still in China) or the USPS website when the package is in the USA. Due to the tracking being dependent on where your package may be in the transit period, there are often times that you may have some trouble with the official websites. This is where third-party tracking platforms step in. Websites and services such as AfterShip, PackageTrackr and Track-ChinaPost can often step up to the job and provide an accurate picture of where your product is in the shipment process. If you use platforms such as AliExpress or Oberlo, the platforms provide a more sophisticated form of tracking for your packages right from the order details section on their website where the status of the package is listed. Higher end websites even have maps as part of this tracking system to pinpoint the exact coordinates of the products. Note: If you haven’t received your tracking code even though your product was shipped using ePacket, you can directly ask the supplier for it, too. A dead giveaway is by just taking a look at the tracking number of your product. Most shipments carried out using the ePacket method have tracking numbers or codes that start with the letter “L”. Also another obvious one is the presence or absence of a tracking number itself, as chances are that a shipment without tracking services is not an ePacket. If you use a platform like AliExpress, you can check the details in the “Orders” section: The “Logistics Information” area will define the method that was used to carry out the international shipping. Note: Interested in using a dropshipping supplier other than AliExpress? Check out these 20 Aliexpress Alternatives to Source your Dropshipping Products From. All products that are shipped internationally are either taxed or have customs attached to them, therefore, this isn’t something that is exclusive to ePacket shipping but rather to all methods of international shipping. As is necessary, the goods that are shipped internationally are put through custom clearances, which means there maybe some duty or tax attached to them and a majority of the time is made to pay by the customers. As a business owner, it may be a smart idea to ask the shipping merchants to be upfront about such costs as these charges may deter customers from returning or even buying products from you in the first place. The merchants are usually aware of the taxes beforehand. Bear in mind that there are certain countries that have higher shipping rates, longer delivery periods and most likely will have taxes or custom duty to be paid at the port of arrival – such as in the case of Canada. Local laws in different parts of the world change regularly and it would be wise to be informed of any such changes. Being ignorant about fluctuations in the law and international trade news can negatively affect your business and might even lead you to be scammed/ripped off, and this is not just about the taxes, but also the entire shipping method itself. 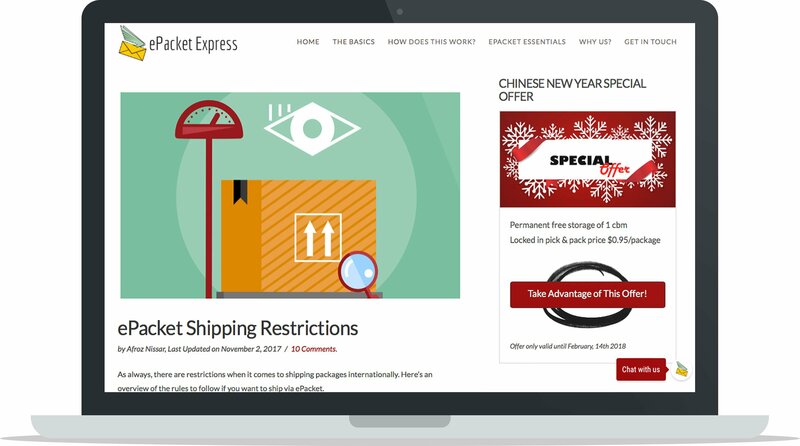 eExpress is an extension of ePacket shipping in some sense: eExpress is also a similar agreement had between China Post EMS, Hong Kong Post and the USPS but it offers services for packages that do not fit the ePacket Criteria and/or restrictions. This means that for bigger and heavier products and packaging, eExpress can be used, instead. Since 2017, there are also a total of 18 countries that can be shipped to using eExpress. Even though eExpress offers service and support to a few of the countries that ePacket doesn’t, due to the wider global reach of ePacket, ePacket is still the more popular shipping method of the two. There are some differences in the allowed size and weight of packages depending on the country you decide to ship to using eExpress. Taiwan: Maximum weight of the package, including boxes and filler material, should not exceed 30 kg. Any side of the package should not be longer than 1.05 meters. Additionally, the sum of the length, width and height should not be greater than 2.5 meters (l + w + h <= 2.5m). Note: Further information in regards to eExpress can be found via the ePacket Express and China Post eExpress Fees and Regulations websites. In the ecommerce industry, competition is fierce and constantly growing. Every little consideration often pays off in the end. When it comes to dropshipping, ePacket shipping should be a huge factor for influencing the products you sell and the suppliers you work with. Due to the nature of the business model, you as a business owner will not have total control over the products that are being sent or the process to get them to your customer. ePacket shipping takes care of at least one aspect, wherein you can rest assured that the customers are receiving their purchases in a timely fashion, at least majority of the time, all while giving them the ability to track where their order is. The popularity and consistency of the method makes it a reliable, yet feasible choice in comparison to other shipping options from China and Hong Kong. While many products have a small fee attached to them when they are to be shipped through ePacket, you will also find that many a time it is also completely free – making it even more enticing to customers. Even if you are operating locally, you will still have a considerable competitive edge over others in your area when using ePacket shipping – solely based on the speed of your product delivery. All these factors play up to your brand image and that is ultimately what gets your product to sell. Be perceptive to what your customer like about your brand and continue giving that to them – if it means faster and cheaper shipping, then ePacket is sure to keep your business on the top. 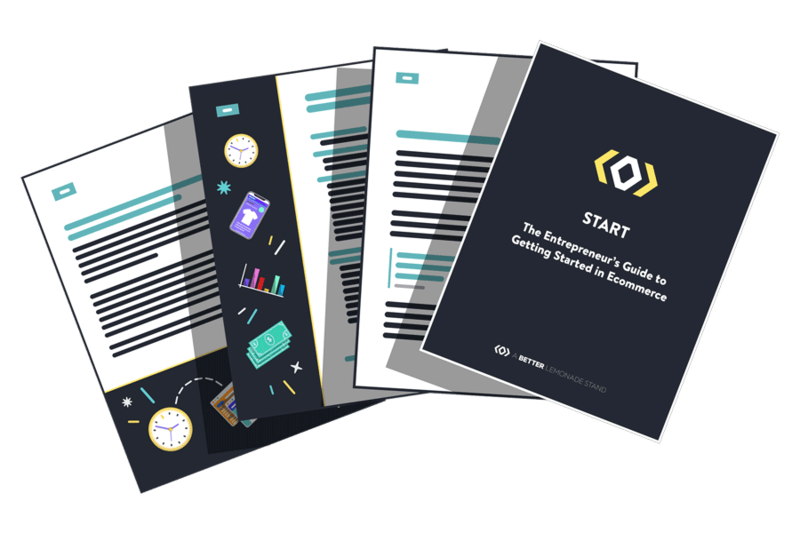 This guide has covered a vast variety of topics related to ePacket shipping and hopefully provided you with a better framework when it comes to this particular shipping method. Having this this knowledge means that you can confidently embrace ePacket shipping and delivery with your own online store, too. As mentioned before, ePacket shipping and delivery is likely to increase customer conversion rates and boost customer satisfaction and fulfillment considerably. These third party platforms integrate very well with ecommerce platforms such as Shopify (read our full Shopify Review here to learn more about the Shopify ecommerce platform) and WooCommerce, making things a whole lot easier. Being able to run a successful dropshipping business means being able to make things run as smoothly as possible. Statistically, ePacket shipping has caused a drop in unhappy customers due to shorter delivery times and therefore increasing profit margins for business owners. Note: Interested in learning more about running a successful dropshipping business? 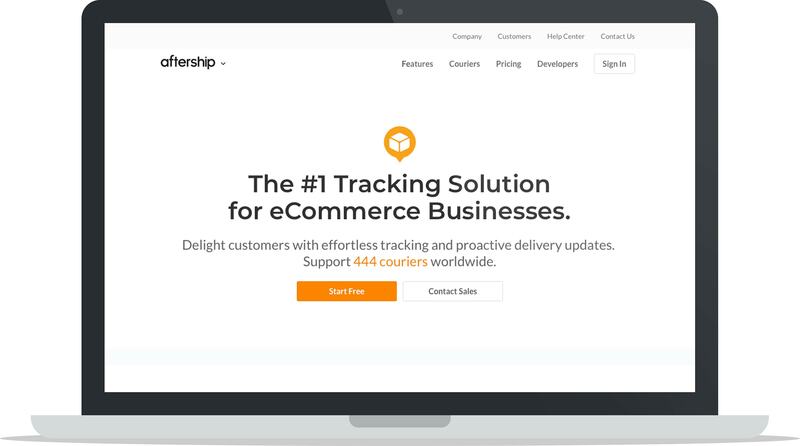 Check out the 10 Best Shopify Dropshipping Apps to Acquire Inventory for Your Business and Finding Drop Shipping Companies and Suppliers (+ FREE Directory). There is minimal risk with ePacket shipping, thus it is worth trying out if you are planning on expanding, have suppliers in China or Hong Kong, and want to ship products internationally. As mentioned before, ePacket shipping is a tried and tested method and is popularly used by many merchants – from the biggest online marketplaces to the smallest online niche business owners – as it systemises the shipping process while also providing a certain degree of transparency for your customers. Keep customers updated on your latest news with your own website newsfeed. 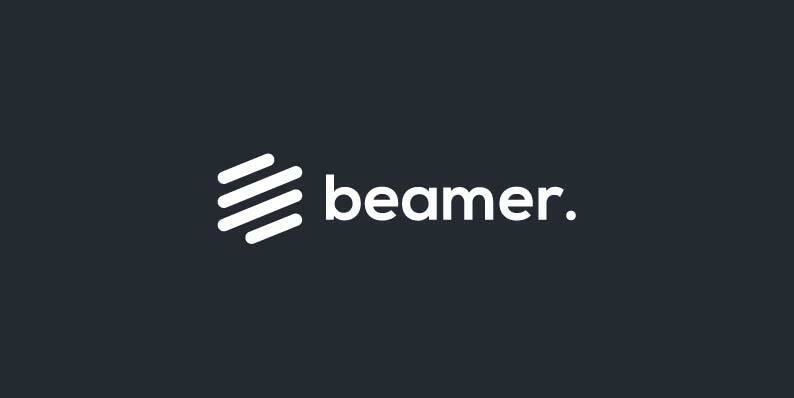 Use code beamer20x3 at checkout.